The temperature was 14.1 degrees on 5 o'clock in the morning. 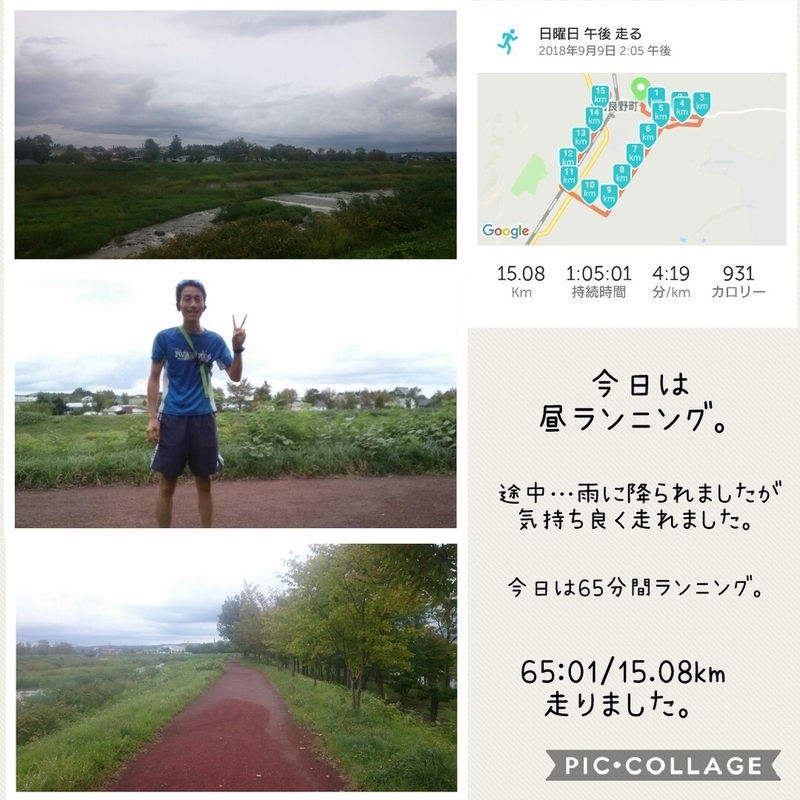 It was cool morning today. I didn't run this morning and prepare breakfast for guests. In afternoon, I run about 15 kirometers. 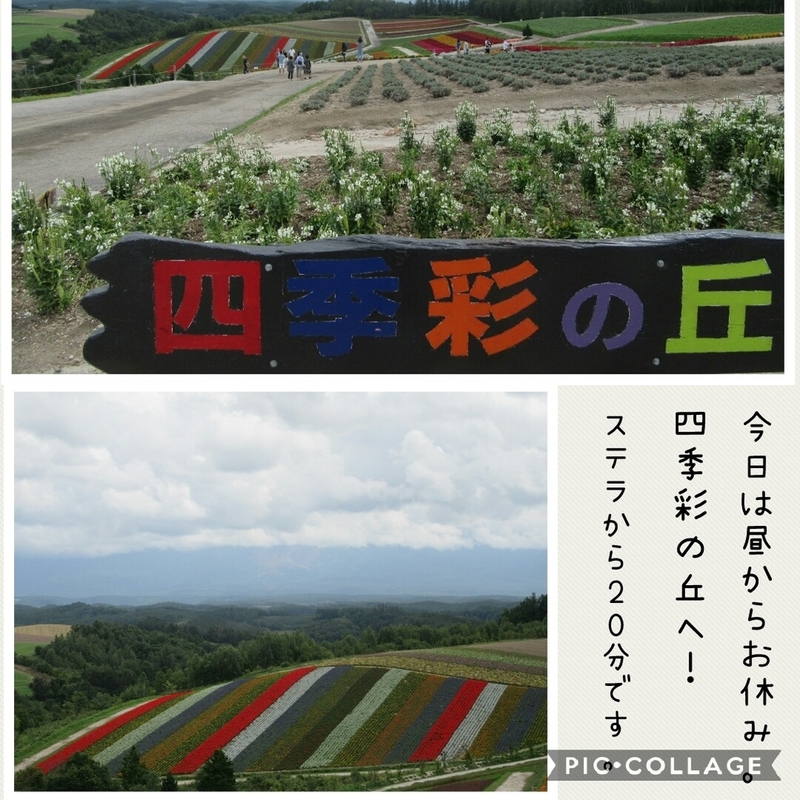 The guests who come from Fukuoka went to Furano. 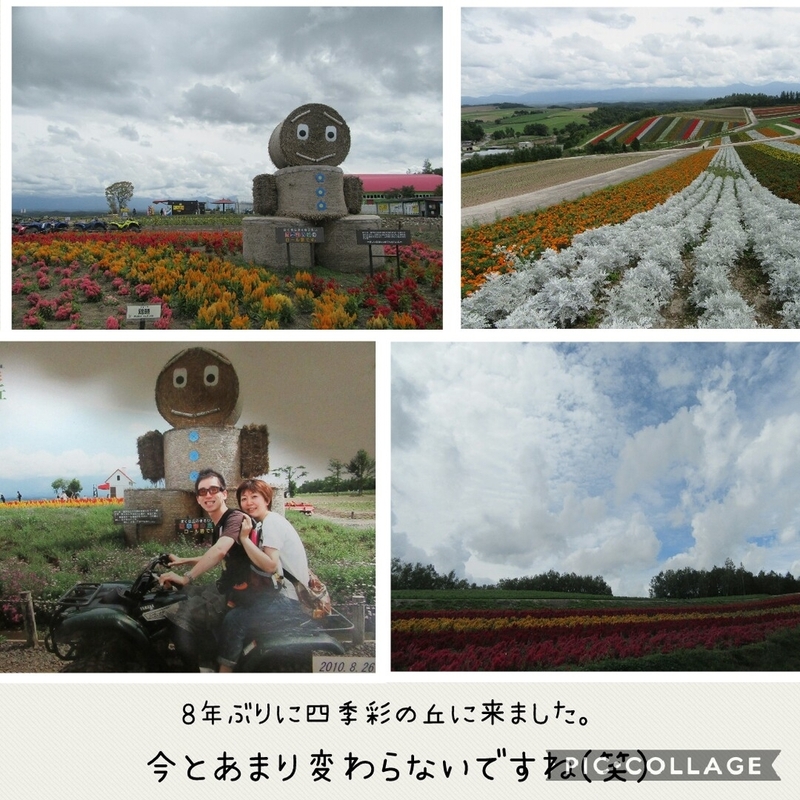 And they rode baloon in Furano. 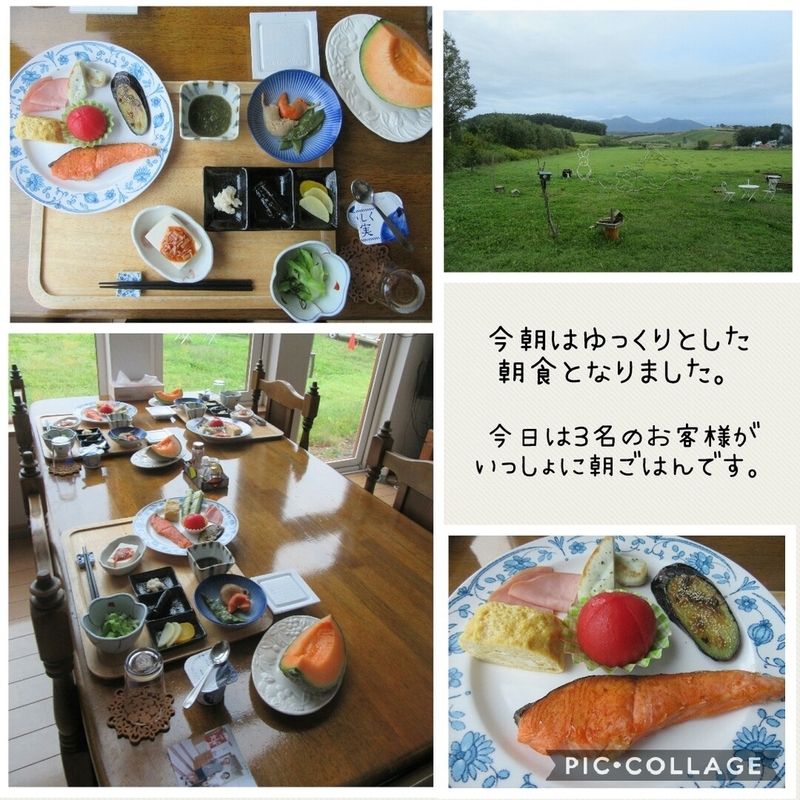 After they came back over 7 o'clock, 3 guests had breakfast together. I had free time from before afternoon, so I was cut hair by friend. After I and my wife went Shikisai-hill. Effect by earthquake, so a few tourlist come there. I have been to there before 8 years ago. We have taken a picture before 8 years ago, we are not change style. The guests who come from Fukuoka,Sendai stay Stella tonight. They had dinner durling trip near area. The last is informations about Kamifurano area traffic. The informations are September 9th. From Asahikawa to Biei will open. From Biei to Furano will cloese. Please look forward tomorrow. Good night.